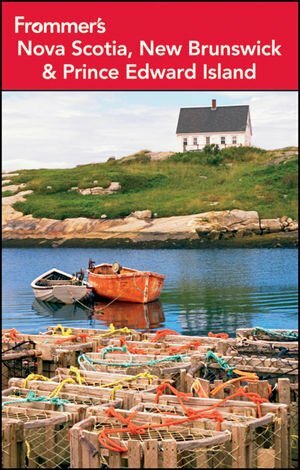 Our author has written about and lived in Atlantic Canada for years, so she's able to provide valuable insights and advice. She'll steer you away from the touristy and the inauthentic and show you the real heart of the Provinces. Follow her picks for the best travel experiences -- including sea-kayaking Nova Scotia, biking the Cabot Trail, hiking Gros Morne National Park, driving along the Viking Trail in Newfoundland, walking through Annapolis Royal in Nova Scotia, and feasting on fresh lobster and Digby scallops -- and you're sure to have a fantastic trip. A guide to the flora and fauna of the Atlantic Provinces means you won't miss a moose or loon; just keep your binoculars handy. Also included are accurate regional and town maps, up-to-date advice on finding the best package deals, and an online directory that makes trip-planning a snap. The tides can rise and fall an amazing 50 feet in a single day at the Hopewell Rocks in New Brunswick. See chapter 5.